Mexico faces declining oil production rates as its fields age and the state oil company, PEMEX, still has a monopoly on the business. Mexico, one of the largest suppliers of oil to the United States, has a big problem: Its production of crude is falling fast. In 2008, the country's production peaked at 3.2 million barrels a day, according to the U.S. Energy Information Administration. Last year, it didn't even produce 3 million a day. The reason: aging oil fields and years of underinvestment. Industry experts say Mexico could revive production if it allowed more investment from international oil companies. But under current policy, EIA says Mexico will have to start importing oil by 2020. For the United States, the decline in Mexico's oil industry means it will likely be buying more oil from Canada and Saudi Arabia, the No. 1 and No. 2 sources of U.S. oil imports. Mexico is now third. And because oil is a global market, any drop in production one place could mean higher prices worldwide. The loss of Mexico's current exports of about 1 million barrels a day would be greater than the amount lost due to sanctions on Iran -- albeit over a longer time period. Many experts blame the structure of Mexico's oil industry for the decline. Mexico nationalized its oil industry in 1938. Since then companies such as Exxon Mobil (XOM), Royal Dutch Shell (RDSA) and BP (BP) have been prohibited from taking a meaningful stake in the country's oil operations. The state oil giant, Petroleos Mexicanos, or PEMEX, has run the show. 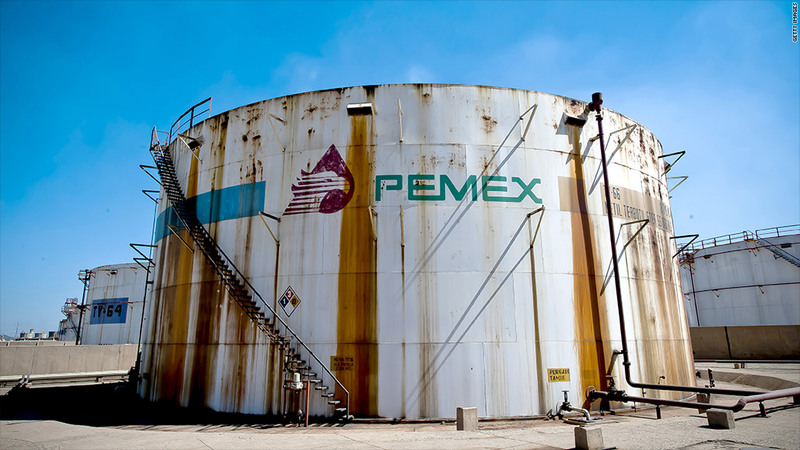 PEMEX is one of the largest companies in the world, and provides the Mexican government with 32% of its revenues, according to the EIA. But oil exploration requires big investments and Mexican lawmakers have long resisted giving the firm the money it needs to go out and find new sources of crude. The difference between U.S. and Mexican oil exploration is striking, said Jose Valera, a partner in the energy practice at the Houston law office of Mayer Brown. The number of wells drilled in the U.S. Gulf of Mexico and the Eagle Ford shale in Texas is "hundreds to one" when compared to the Mexican side. Indeed, the United States has been undergoing a resurgence in oil production, largely because of these two areas. "There is absolutely no geological reason to believe the Eagle Ford ends at the border, or the Mexicans got the dry side of the Gulf," Valera said. "There is substantial potential that has not been developed." Mexico has taken some small steps to liberalize its oil industry over the last few years, including allowing foreign firms to bid for contracts with PEMEX. A spokeswoman for PEMEX said these efforts, along with a recent doubling of its budget, will enable the company to soon boost production. But industry analysts feel that unless international companies are given ownership stakes in the oil fields, investment will remain low and production will continue to decline. 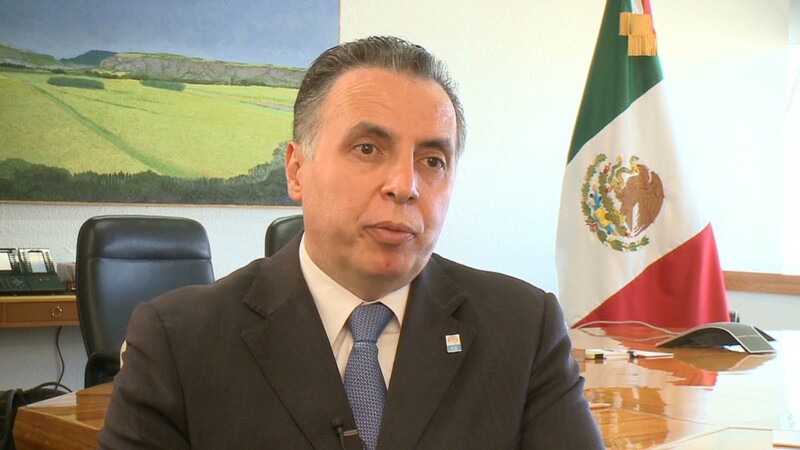 There's also been recent talk of broader industry liberalization, but it faces strong opposition from the country's unionized oil workers, government agencies that rely on PEMEX proceeds and Mexican consumers, who benefit from gasoline subsidies. Said Alejandra León, an oil analyst at the consultancy IHS CERA in Mexico City: Oil is "still a sensitive topic and politics play a critical role."